Buffalo Trace White Dog Mash Whisky is a popular Whisky available from TheDrinkShop in 37.5cl to buy online. Visit TheDrinkShop for the best price for 37.5cl of Buffalo Trace White Dog Mash Whisky or compare prices on our other Whisky products. Sweet aroma, with a slight burn. The corn coats the tongue with oil and vanilla. White Dog celebrates and commemorates the start of the new distillation season. In Kentucky, buffalo carved a pathway followed by America's first explorers. Those brave pioneers distilled whiskey using traditional methods and drank it right off the still. They called it White Dog. This raw distillate was clear, un-aged and had a hint of sweet corn. Later, distillers discovered this spirit was perfect for aging - creating what we know today as fine Kentucky Straight Bourbon Whiskey. Buffal Trace are still making whiskey on the spot where ancient buffalo once crossed the Kentucky River and following centuries of time-honored distilling tradition. Enjoy this White Dog the way Americans did more than 200 years ago. Where to buy Buffalo Trace White Dog Mash Whisky ? Buffalo Trace White Dog Mash Whisky Supermarkets & Stockists. 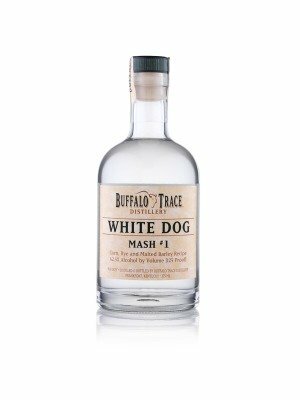 You can buy Buffalo Trace White Dog Mash Whisky online in most retailers and find it in the Whisky aisle in supermarkets but we found the best deals online for Buffalo Trace White Dog Mash Whisky in TheDrinkShop, DrinkSupermarket.com, and others. Compare the current price of Buffalo Trace White Dog Mash Whisky in 37.5cl size in the table of offers below. Simply click on the button to order Buffalo Trace White Dog Mash Whisky online now.